If you've been wondering what will be the name of HTC's next flagship smartphone, we're happy to confirm the top-tier device expected to be introduced very soon is HTC U12+. The handset was recently spotted on the company's official website, but only briefly as HTC realized it made a blunder and decided to take it down. But not before the media copy/pasted all the information about its specs and price. 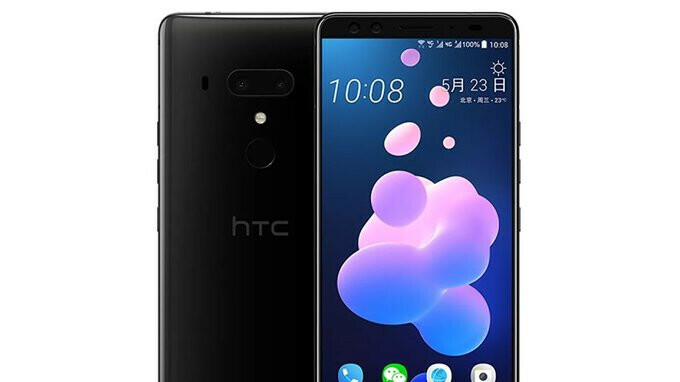 Firstly, the HTC U12+ will be available for purchase in China for the equivalent of $920, which is quite a lot considering we're talking about the Chinese market where smartphones are usually priced lower than the rest of the world. The nearly $1,000 smartphone does come with 6GB RAM and 128GB internal memory, so HTC may launch cheaper versions with less memory inside. We've also been able to learn that HTC U12+ will feature IP68 rating, Boomsound speakers and microSD card slot for memory expansion (up to 2TB). The U12+ will be powered by a 3,500 mAh battery and ships with Android Oreo on board. Other specs that have been confirmed include a powerful Qualcomm Snapdragon 845 processor, a 6-inch Super LCD6 display with WQHD+ (1440 x 2880 pixels) resolution (no notch) and a dual-camera setup. The smartphone is expected to be unveiled on May 23 and from what we've seen on HTC's official website, the U12+ will be available in three colors. Hahahahahahaha! With that price I imagine the LG G7 will smoke the U12+ in sales. It breaks my heart because I love my HTC 10 so much that seeing HTC fail is hard to watch. But that price tag is broken. Especially when you see the price the OnePlus 6 has on it! Get back in your basement. The s9 is selling just fine with all the other Android companies out there. But not against the 1 iOS company, LMAO. This is a complete sad fact. Apple and upcoming makers like Xiomi, OnePlus, and etc are really changing the market. Yes, it's hilarious that you compare a high-end HTC with a wannabe high-end One+6! You get what you pay for and LG's OS is sub-par, have fun with that and oh, the 1+6 OS too, have fun getting updates haha! $920 for a device that has long lost it's brand recognition? Wth are they planning? The screen isn't even amoled/oled to justify their asking price. There is something dangerously bad going on in the brains of HTC management. At least complete detachment form the outer world. Only thing irrelevant is your comment. $750 is the price-point this phone should fall under. Unless there's some radical new feature, I see this as a rip-off. The phone looks great, the only way to suceed in todays market would be the route of oneplus. Price it 699$ and make it stock android with a little extra features and give a promise of 3 years of updates. Then i will buy an android phone. They probably sell 10K unit in the whole world with that price. I am wondering when was the last time people at HTC used their brain? $920 will buy me a OP6 and a laptop ... And given all the trouble I've had with my HTC 10 and what a dud that was/is, asking me to plop down $920 is hard pill to swallow - even given that HTC has probably had about 70% of my phone purchases over the last 10 years. Price it even in the neighborhood of the OP6, and we'll talk. At $920, no way. Wow. WTH are they thinking. Well at that price I’m out. That’s ridiculous. Even at 750 I’m not sure it would have sold here in US..... but at that price if it is right... you can forget it. This may be a good phone, not for that price though. $750 to $800 would be closer to it. HTC needs to do more advertising also. Did they lose their designer? A boring looking phone, with ridiculous price tag. Smdh, htc.